Pincushion rings provide a handy place to park your needle or pins as you are sewing. The base that holds the wool ball is made of lovely turned wood. 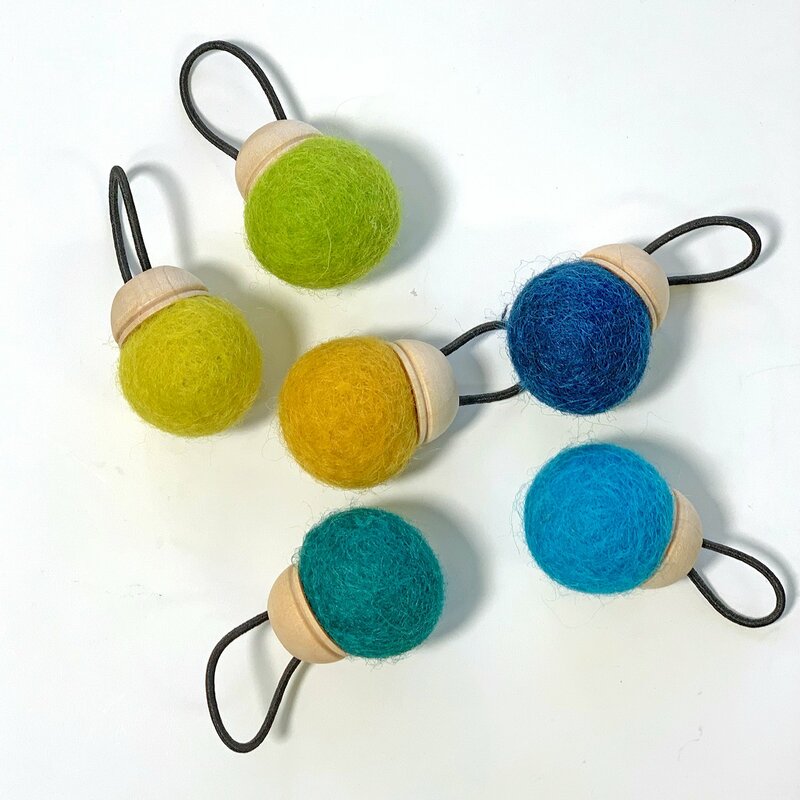 The balls themselves are colorful felted wool that is nice and dense. These are made in Brooklyn NY. Each ring has an elastic band that fits approximately ring size 6.5 to 8. The next video shows you other lovely notions made by Cohana.